Despite Iranian President Hassan Rouhani's "charm offensive," which has sealed an interim nuclear deal and lifted US sanctions, the Islamic regime remains brutal as ever. An Arab-Iranian poet and human rights activist was executed in late January for being an "enemy of G-d."
Hashem Shaabani, an ethnic Arab and popular composer of Arabic and Persian poetry, was hung in an unidentified prison on January 27 along with Hadi Rashedi, Al Jazeera reported on Monday. He was the founder of Dialogue Institute, which promoted Arabic literature and culture in Iran. The 32-year-old poet spoke out against the mistreatment of ethnic Arabs in Iran's Khuzestan province, which borders Iraq. He was arrested in February or March 2011, on charges of being a "Moharabeh," namely an "enemy of G-d."
Shaabani was found guilty last July, along with 13 others, of "waging war on G-d" and spreading "corruption on earth." Watchdog group Freedom House reported last Wednesday that Shaabani was severely tortured and interrogated during his three years in prison. In 2012 he was put on Iran's state-owned Press TV, where he was forced to confess crimes of "separatist terrorism," according to human rights groups. Iran Human Rights Documentation Center (IHRDC) notes that over 300 people have been executed since Hasan Rouhani took office last August. 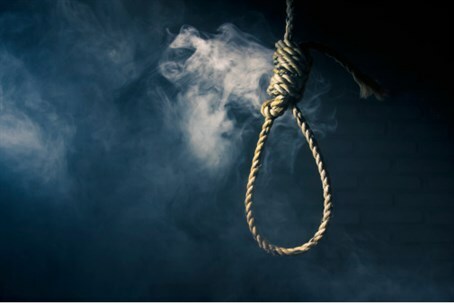 In the first 21 days of January, Amnesty International reported that 40 executions were carried out in Iran, working out to a rate of two executions per day. "Public executions are usually carried out by a crane, which lifts a noose hanging around the neck of the condemned," the organization noted. Despite the interim deal with world powers and the imminent start of negotiations for a long-term deal, Iran has not bothered to tone down its belligerent stance. Last Friday, Iranian TV showed a documentary simulating attacks on Israel and the US. Iran similarly reiterated on Sunday its refusal to have International Atomic Energy Agency (IAEA) inspectors check the Parchin military base, a site suspected of hosting atomic bomb triggering device tests. On Saturday, the regime reported it sent a fleet of warships towards US maritime borders, after threatening US warships in the Persian Gulf.